We Funk Radio for President! Introducing......Yo F that Nig--s name! My Hip-Hop drops on your head like rahahain!!! And again a great show! Please come and visit Berlin! Loved to see you guys live on stage! 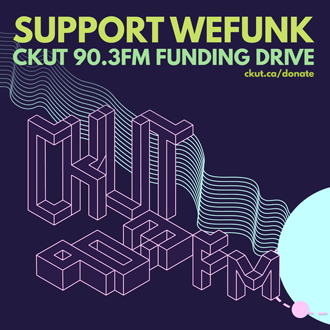 Nothing but the best for the CKUT Funding Drive, part 2 — featuring special guests Preach and Fredy V live and direct from the Kalmunity Vibe Collective. DJs & GUESTS DJ Static, Professor Groove, Preach, Fredy V, Seanice, Dan / RECORDED May 4, 2007 / PLAYLIST MARKING jcw1963 & sirbaihu / HOSTING PJ, Mike, Oliver & daduke. You can help too! e.p.m.d. - so whatcha sayin'?